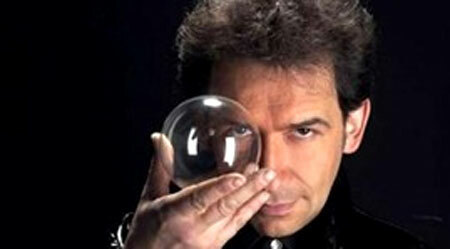 VietNamNet Bridge – The Italian magician will give performances in Ho Chi Minh City from July 5-7. Logan and his wife will meet with his fan club in HCM City on July 1, and the next day they will visit an orphanage in Tam Binh-Thu Duc. In the HCM City show, Logan will bring nearly 30 items for acts such as cutting people into pieces, making people fly in the air until they disappear, swallowing hundreds of swords, and appearing with many strange and valuable animals and birds. Quite different from other performances held in Vietnam, this time Europe’s No. 1 magician is expected to turn HCM City’s Lan Anh stage into a sky full of fireflies. In an act, Logan and his wife will fly together into the starry sky, and within 60 seconds he will again appear on the stage. Earlier, the Italian visitors, including seven support staff for Logan, in co-ordination with the Youth Theatre of Vietnam and local circus delegations, performed in Hanoi, Haiphong and Quang Ninh in May and June 2013.